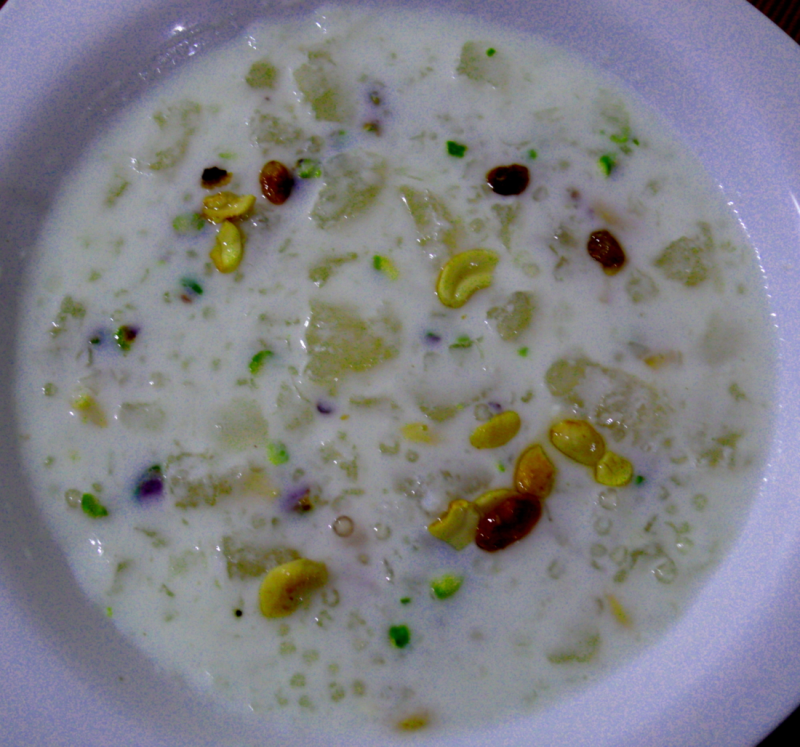 A delicious payasam of Nungu(ice apple),the edible jelly seeds of palmyra palm,munjal in urdu,and sago cooked in milk with little sugar. Heat oil and ghee in a pan and fry cardamom,crushed cashews, raisins and almond pieces . Boil milk in that pan and add water and cook sabudana. When sago got cooked add the nungu pieces,sugar and saffron little.mix well for 2 mins and turn off the flame. Refrigerate for 20 mins and serve chilled. Hats off 2 U . Wat an innovative dish ? ? ? I never imagined one could prepare payasam from Ice Apple . Will surely try dis out . this nungu payasam sounds very delicious and new!! !sure is a refreshing summer delight.will try this. Soak sago(sabudana) for 10 -12 mins only.Add 1/2 cup sugar if you like it sweeter.